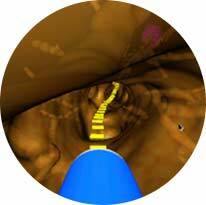 Successful diagnostic bronchoscopy requires exceptional planning and navigation technology. The SPiN System™ uses a dynamic 3D road map and Respiratory Gating technologies to guide your path to the target—even as it moves. Inhale. Exhale. Bullseye. 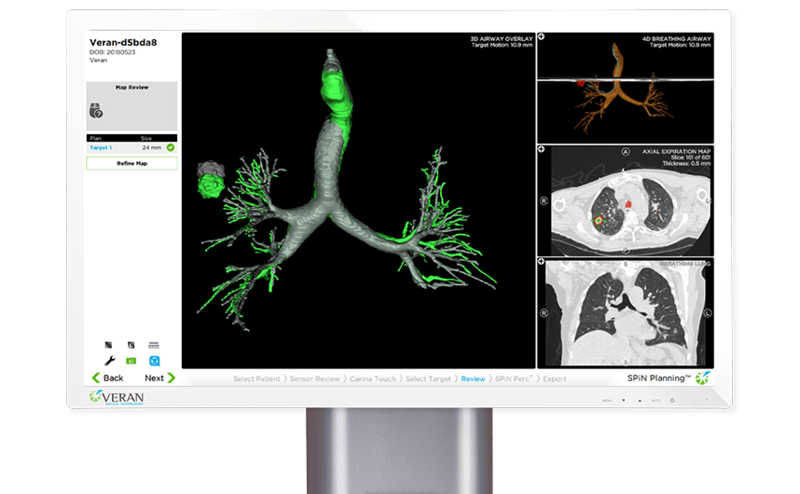 The SPiN System™ generates an exceptionally accurate 3D map of the lungs based on Veran’s Inspiration/Expiration CT Scan Protocol. 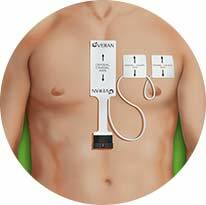 Stickers (vPads™) equipped with electromagnetic sensors are placed on the patient’s chest prior to CT scans and remain in place during the procedure to help guide navigation and track patient breathing. 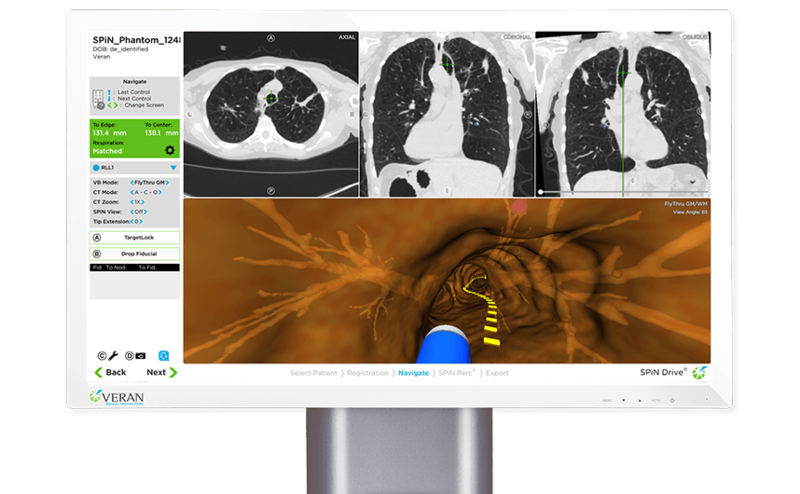 Laptop-based SPiN Planning™ software converts the scans and creates a dynamic 3D map that lets physicians customize their views and select the targets. 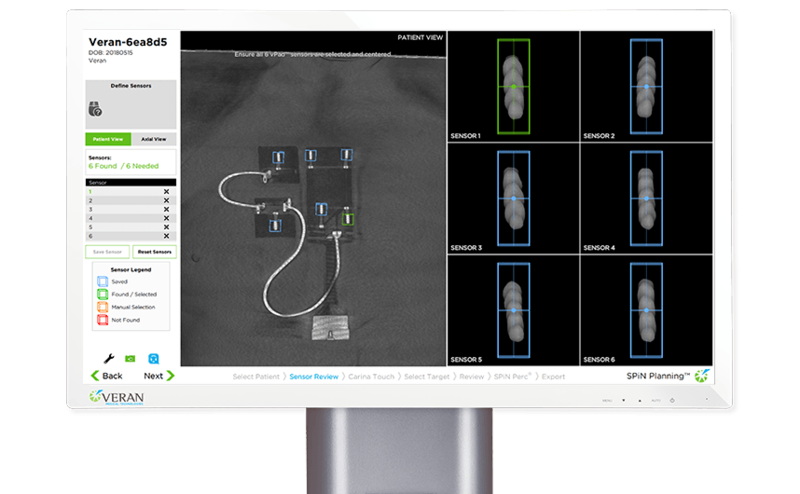 The SPiN System’s™ proprietary algorithms account for anatomical challenges and calculate the shortest path to the lesion. 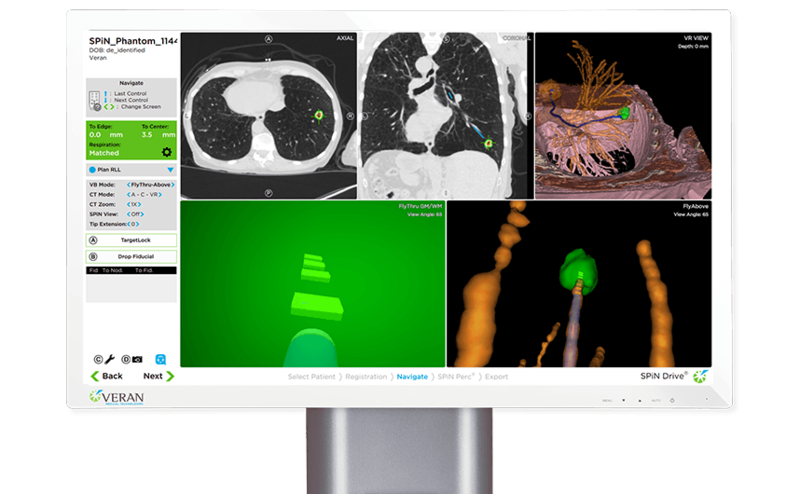 vPads™ enable automatic registration and dynamic referencing throughout the entire procedure. 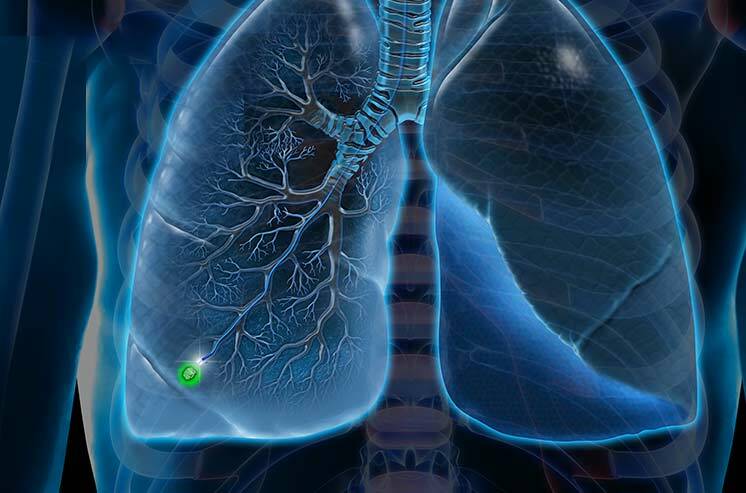 Respiratory gating technology communicates with the vPads™ 20x per second to track respiratory movement. 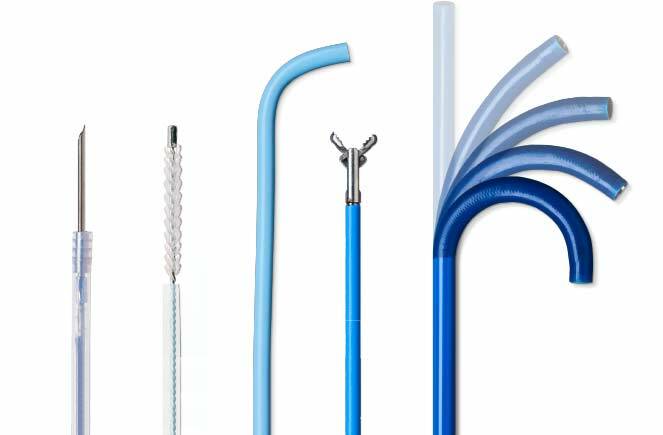 Revolutionary Always-On Tip Tracked® Instruments feature electromagnetic sensors that continuously guide and track the path to the target throughout the entire procedure—even during biopsy. Always-On Tip Tracked® Needles, Brushes and Forceps are used like conventional tools, so there is a minimal learning curve. 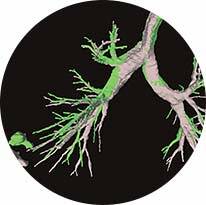 Dr. Eric Flenaugh, Grady Hospital, diagnoses Stage One Lung Cancer, despite significant lesion movement.